Let the collections at Melbourne Museum and The City Gallery capture your imagination. Escape the urban bustle at St. Kilda Beach and Balloon Rides. 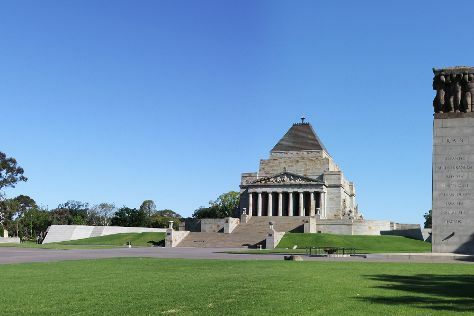 There's much more to do: admire the natural beauty at Royal Botanic Gardens, steep yourself in history at Old Melbourne Gaol, admire the masterpieces at Buxton Contemporary, and soothe aching muscles at some of the top local wellness centers. For reviews, maps, ratings, and other tourist information, use the Melbourne day trip planning tool . If you are flying in from Singapore, the closest major airport is Melbourne International Airport. May in Melbourne sees daily highs of 20°C and lows of 9°C at night. Finish your sightseeing early on the 2nd (Sun) to allow enough time to travel back home.